From Edmonton, we drove northeast on route 80 (toward Columbia.) Just outside of Edmonton, as the road splits at the Y-intersection of routes 68 and 80 and begins to climb up a hill is a family site known as the "old Poole Plantation." 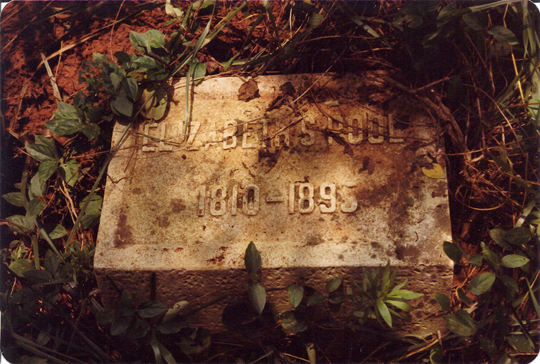 During her 1981 visit, Molly confirmed the location by locating a cemetery with stones bearing names of members of the family of John Poole and Lucy Clark. Molly obtained directions to the site from Lizzie Beauchamp and photographed two or three stones in 1981. When she returned to the area 20 years later and obtained permission from landowner Russell Fraser (now deceased) to go to the cemetery, very few stones remained. The cemetery is located in the pasture on the east side of route 80 (N. Main Street). We continued driving east on route 80 toward Columbia, seeking two sites related to the Hamilton family. We turned right (southeast) off route 80 at Mosby Ridge Road and continued to Louis Free Road. We stopped first at the Hamilton Cemetery, a small family cemetery which includes the burial site of Malinda Susan Cox and Edward Hamilton, as well as their son Edward Fayette Hamilton (Grandma Clark's "Uncle Fay") and his wife, Lula Green Fraser ("Aunt Greenie.") Others buried there are children and grandchildren of E.F. and Lula Hamilton. Grandma Clark was given her middle name, Lula, in honor of her Aunt Greenie. The cemetery is visible from the road and is on the left-hand side as we proceeded west on Louis Free Road. 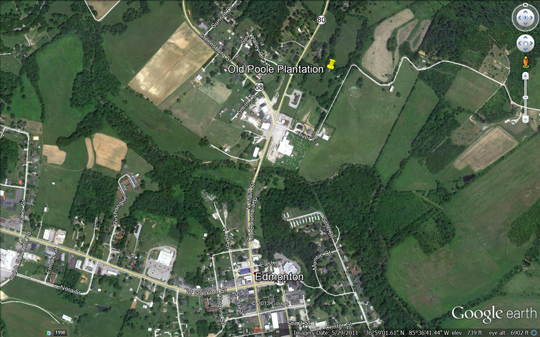 This site is located in Metcalfe County but is very close to the boundary of Adair County. 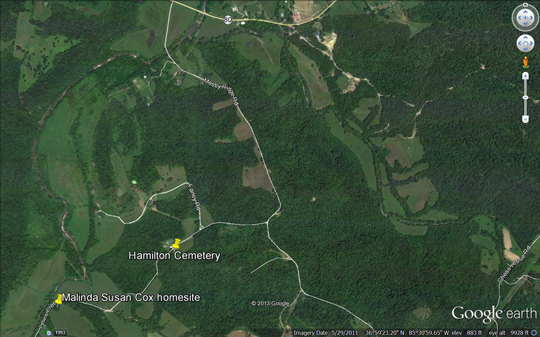 This Hamilton Cemetery is located alongside of Louis Free Road (shown on some maps as Flat Rock Road), reached via Mosby Ridge Road - between Edmonton and Columbia, KY.
Lula Green Fraser Hamilton was known by most as "Greenie"